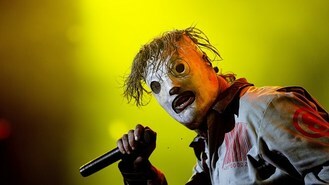 Corey Taylor, the lead singer of the heavy metal band known for performing in sinister masks, says items were also taken from his storage units in Iowa. The Des Moines Register says Corey told police two guitars that had belonged to Slipknot bassist Paul Gray, who died in May 2010, were among the items stolen. He also told police that he suspected a friend stole the gear while he and his wife were touring Europe. They returned to their West Des Moines home late on July 6 and reported the theft the next day. Some of the equipment has been recovered from a guitar store but no arrests have been reported.